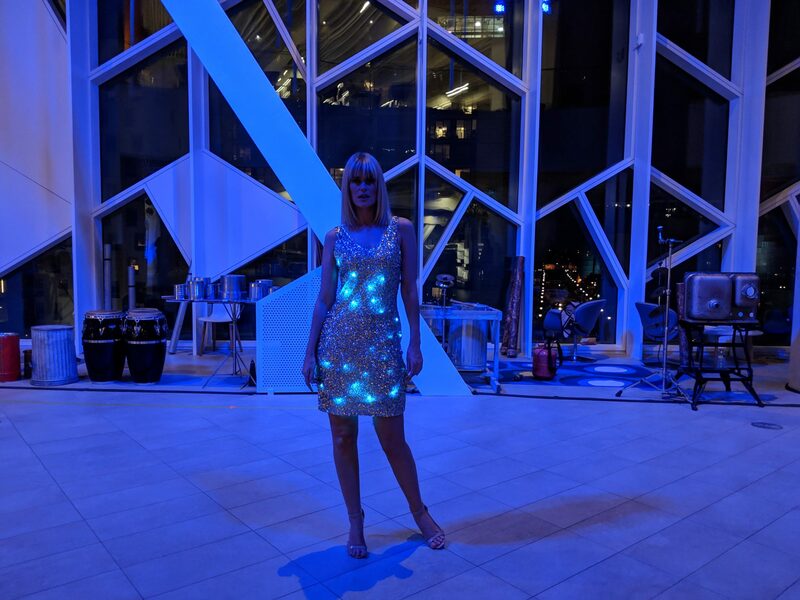 Celebrating the opening of the Calgary Public Library with our illuminated sequin dress. Photos courtesy of Maria Elena Hoover/MakeFashion. We were recently part of the Lit Gala celebrating the opening of the new Calgary Central Library with MakeFashion on Nov 2. The new Central Library was a $245 million project, and is the only Canadian building on Architectural Digest’s 2018 Most Anticipated Buildings in the World. 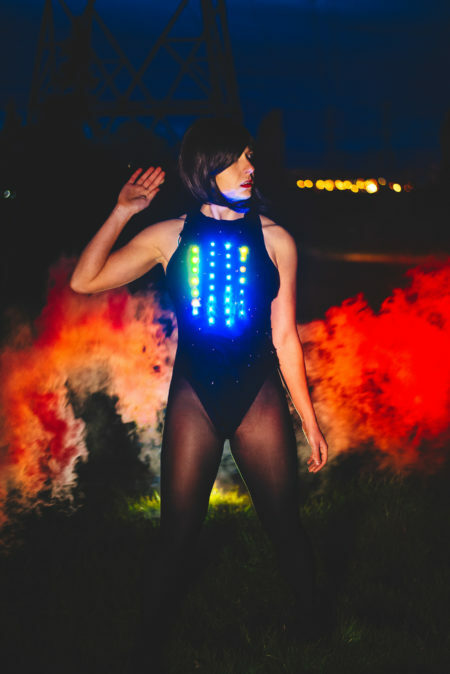 We were invited with MakeFashion to bring our literally “lit” garments for the event. 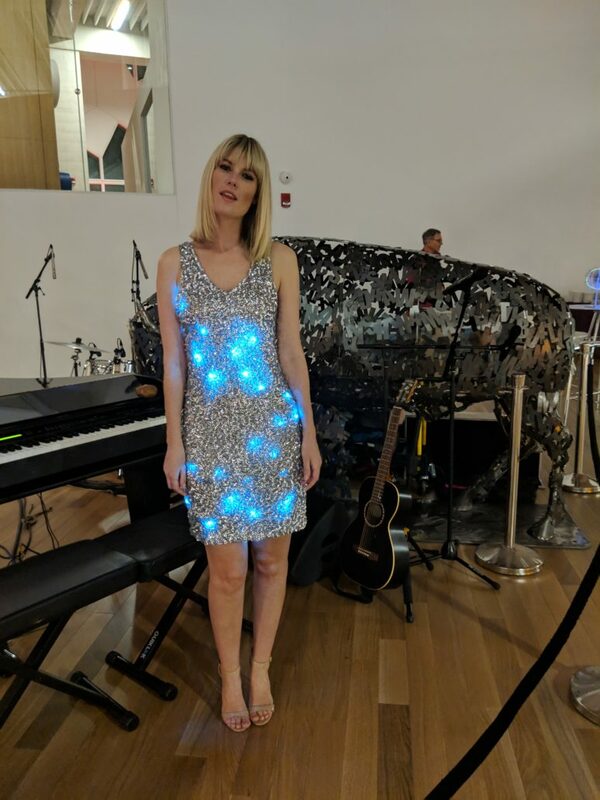 Our sequin dress, modeled by Calgary model Kim Noseworthy, was showcased along with musicians Tegan and Sara. 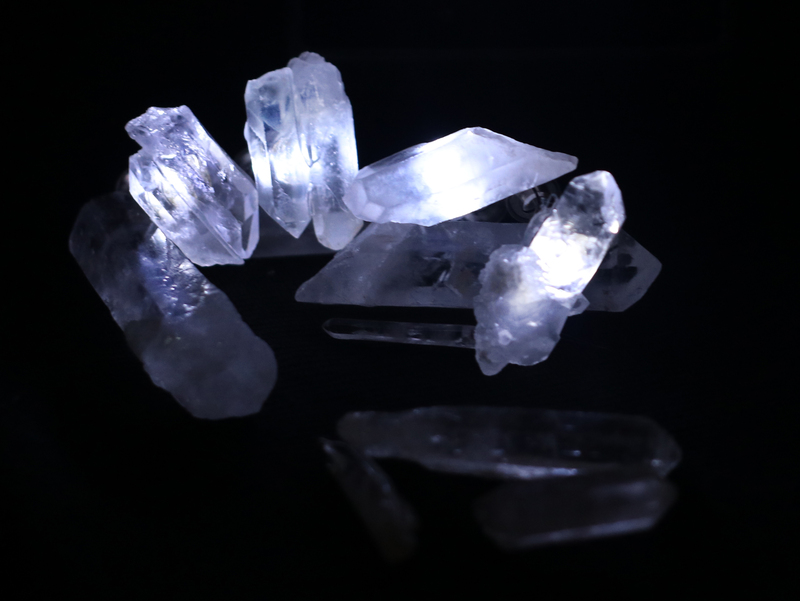 Designs by MakeFashion designers Matt LaPrairie and Maria Orduz Pinto were also featured. 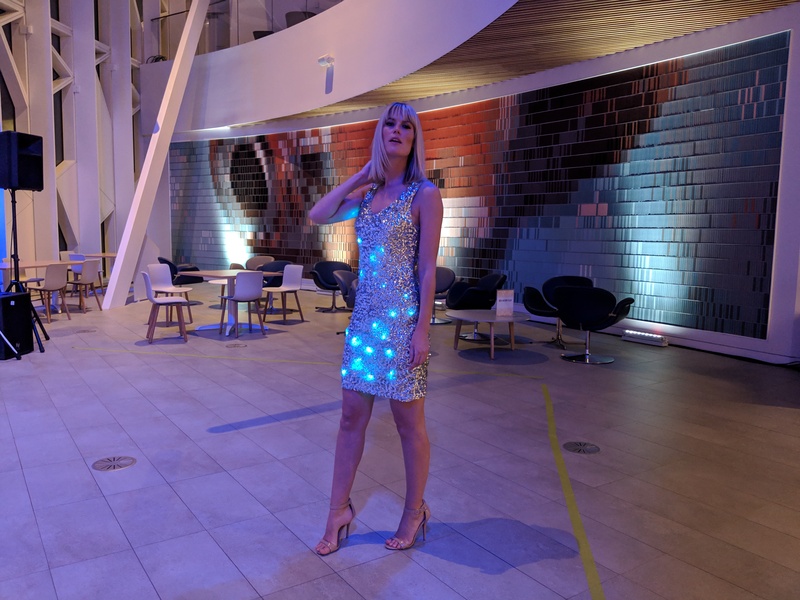 If you’re looking to replicate the look, a full length version (hemming to shorter version available at no charge) of the sequin dress is now available for $200USD with free shipping. 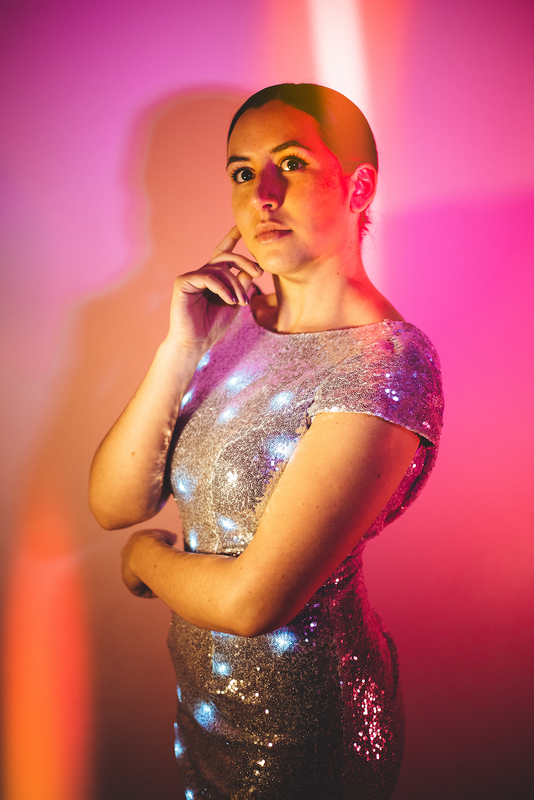 Our sequin dress and designs by Matt LaPrairie with Tegan and Sara.